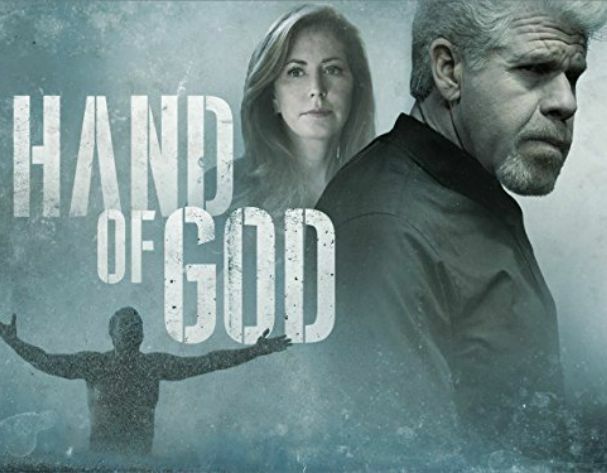 When Amazon entered the original-content streaming game, one of its first series was “Hand of God,” which stars Ron Perlman, Dana Delany and Garret Dillahunt. Ron plays Pernell Harris, a morally corrupt judge who suffers a breakdown and believes God is compelling him onto a path of vigilante justice for his son. The creator of this breathtaking and groundbreaking series is Ben Watkins, who also wrote every episode and even directed a few. And starting today, Amazon is now streaming the second and final season of this edge-of-your-seat drama, and I spoke with Ben recently about the series, his beginnings in Hollywood, and any scoop he could give me about season two. Celebrity Extra: Tell me a bit about your background. I know you were homeless at one point and have had to adapt to circumstances that many of us haven’t even dreamed of. Ben Watkins: I’ve encountered some really challenging circumstances growing up. Spent most of my life very poor with a single mom raising three kids mostly in the inner city. We moved a lot. I think with moving that much, it makes you come up with ways to fit in quickly. One of the ways to do that is to become an expert in mimicry and in observing people, and very quickly seeing what makes them tick. I think that turned into a really good way for me to be a storyteller. I also had a lot of hours spent with a brother and sister where most of our entertainment came from our imagination. When I look at where I am right now, I look back on how I got here, I think those early years were formative in that I started to acquire some of the skills as a storyteller. And part of that had to do with acting. That is the first way that it expressed itself. CE: How did writing come into play? BW: I always knew that I wanted to write at some point. I picked up a lot of different things that I felt like I wanted to express about my experience and how I saw our society. I love a good story, but my favorite stories are the ones that are really trying to make a statement about who we are as people and this world that we live in right now. I was someone who grew up really poor and saw society from that side, but there were times where we actually went back and lived with my mother’s family, who was raised upper middle class. CE: That must have been a culture shock for you! BW: I went from being this kid who was living in the hood in Oakland, California, and then the next year, I’m living in a gated community in a suburb of Chicago. I saw this amazing swing in lifestyles and status. It was a really tough upbringing, but it gave me a great insight into different aspects of society. I try to bring that to my storytelling. I feel like it is a unique perspective that a lot of people don’t really have or get a chance to live. CE: Could you have thought in your wildest dreams while you were struggling as a kid that you’d have this acclaimed drama on Amazon starring all of these amazing actors who are bringing your story to life? BW: This is something that is so fortunate, but when I was a kid, I didn’t even have any expectations that even bordered anything close to what has happened to me. I was just trying to make it day by day. In the toughest times, like you mentioned, we were actually homeless. I remember being in an apartment one time; we were basically squatting in the apartment, homeless. I really didn’t have any expectations that any of this was going to happen. But I just kept chipping away, and there were a few key moments where people influenced me the right way. Even though we had tough times, my mother always made me feel like I was special. And so I always felt like even in the toughest times, there were brighter days somewhere down the line. I just didn’t know what it could be. I finally got around people who could influence me and would say, “Look, if you keep your focus, if you work hard, there will come a time where you have more control over what’s going to happen to you.” My feeling is, I’ve been through as hard as it gets. So being told “no” a hundred times in Hollywood does not even compare with sleeping in a car and not knowing where your next meal is going to come from. And so that really helped with my resiliency and perseverance. CE: Tell me about how you started to find your voice in college. BW: I went from being a student who was on the verge of being expelled from high school to being a guy who came full circle and ended up going to UC Berkeley for college. When I went there I was leaning toward being a journalist. I already had an affinity for writing; I just didn’t really know it was going to be on the creative, narrative side. But I jumped into a theater class and I fell in love with theater. That is what the first breakthrough was. I did it, actually, to just fill out units, just to have enough for the semester, and I ended up falling in love with it. I acted in some plays and that was my initial love. I had a couple of mentors, directors who were teaching at UC Berkeley. One was Margaret Wilkerson, who is sort of a legend in the African-American theater community. And the other was Gilbert McCauley, who is still directing today. They both encouraged me to pursue it. And so I really focused on acting to begin with, but I did have one project where it required me to write something. It became one of those things where you have a great experience, but it’s not part of your focus at the time, so you just sort of file it away. I filed it away and thought, “I’d like to get back to it someday.” I did some theater out of college, and I had a fluke experience where a casting director for a soap opera saw me. I went to New York for one of those general auditions for a soap opera casting director. We had a mutual friend, and she was seeing me as a favor. CE: And that favor turned into your first television role. BW: She ended up casting me in the soap. And that’s part of the acting career. I went down that road for a while. I had my ups and downs. When it got to a really, really low point, I was in Los Angeles and I had made an agreement with my wife that if I wasn’t a huge star in two years, we would move back to northern California and I’d go back to school. I hit a low point, so we started making plans to do that, but it was going to take six months to get everything in order. So she said: “You know what, you should do that short film that you’ve been talking about for a long time. Then you’ll have something to remember Los Angeles by.” So I did the short film and, ironically, the short film just sort of blew up. It went to all of these film festivals, including the American Black Film Festival, where it won the top award for short film. And it went to Sundance, and it actually got me some exposure for another job: I ended up getting a contract role on “The Young and the Restless.” But even more important, it was sort of a liquefier for me as a writer because that is something that I wrote, produced and co-directed. Even as my acting career was starting to pick up, I knew that my end goal was to be a writer, to create the content. CE: How did that lead to “Hand of God”? BW: It’s funny, because within Hollywood circles, when Amazon said it was going to start doing what it calls the Amazon pilot season, where they actually give the fans a chance to respond to the material and vote for the series they want to get made, there were a lot of people in the Hollywood circles who didn’t like that idea. But I actually thought it was a great idea, because I had gone down the road of developing great projects and no one ever saw them. Usually the decision on whether or not to make a pilot into a series is made by 10 people in a boardroom. Whereas when you do Amazon pilot season, you’ve got millions of people who get a chance to chime in. I think that’s cool in and of itself. The fact that Amazon was giving people a chance to actually see the pilot before they decided whether it would go to series, I felt was a great opportunity. And I think it was especially important for a show like mine, one I knew was going to be controversial and push a lot of buttons. Can you imagine if I had left that in the hands of 10 network executives who’d never seen anything like it? I think that the fact that the audience reacted to the pilot as well as they did was a huge reason we got our series order. CE: What was your inspiration to create “Hand of God”? Not to put it too lightly, but this is some deep, dark subject matter. BW: First of all, my inspiration started with my being fascinated with fidelity and people in history who have been zealous. I would include John Brown and Nat Turner, obviously, in that category. But I would also even say in the modern day, you have people like David Koresh, and you even have these musicians like John Coltrane or Charlie Byrd, or you have scientists like Albert Einstein. I feel like they are all operating on another level. Because they are so committed, they have opened up their minds to something that most of us don’t have any grasp of. In some cases it really affects how they behave and whether they can really navigate regular life. So I was fascinated not just by the people who become zealous, but also by how society reacts to them. And so I wanted to do a story about a modern-day zealot. Pernell Harris became this vehicle for me to show someone who believed in something so wholeheartedly that everything he does going forward is related to that. Then the other thing is I really want to explore the duality that I think exists in all of us. In movies and on TV, there’s a lot of storytelling where you have flawed characters, but they are usually going to end up in one category: good or bad. What I wanted to do was tell a story that had characters who were more reflective of who we really are as humans, which is that those good and bad characteristics are always there and they always exist simultaneously. CE: And how exciting was it that your work attracted talent like Ron Perlman and Dana Delany? BW: It was amazing. We’ve got world-class filmmaker Marc Forster, who said he wanted to make this his first TV show and was interested in directing the pilot — that was a great sign. And then the very next day we found out that Ron Perlman was interested. For two of the characters I thought, “In an ideal world, Dana Delany and Garret Dillahunt would play these characters.” Fast-forward, and we’re shooting the pilot, and Dana Delany is playing Crystal Harris and Garret Dillahunt is playing KD. Of course the rest of the cast is stellar as well. CE: Originally Faye Dunaway was going to play Pernell’s aunt, but now it is Linda Gray. BW: There were some scheduling conflicts and some other issues that came up, so she has been replaced with Linda Gray. BW: You can’t go wrong with Linda Gray. When we realized it wasn’t going to work out with Faye, we started looking around elsewhere, and we came across Linda Gray. In season two, Pernell’s empire is in jeopardy, and part of that Harris family empire includes Linda Gray. With Pernell on shaky ground, she becomes a bigger part of the story because she wants to make sure that if he goes down, the Harris family doesn’t go down with him. CE: What else can you tell me about season two? BW: When there are things that we can’t explain, we feel compelled to find an answer for it. We say it’s science or religion or it’s crazy or it’s magic. We continue to ask that question in season two. Pernell continues to explore this question of whether he’s truly crazy or if he has touched into something supernatural. We also get to explore a little bit about what was going on with PJ and the software that he was working on. 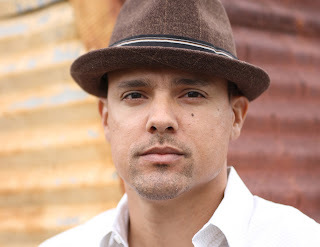 And there’s a connection there to Jocelyn Harris; there’s a connection there to Nathan Brooks, who is the founder of the company that came into town in season one. There’s a mystery related to that, and that mystery is driven by Crystal Harris, who in season one showed that Macbeth-type wife who was trying to maintain control and manage her husband and manage the lifestyle and the empire that she had built. In season two, she really steps into a leading role and drives the story forward because she is intent on finding out what happened to her son’s software and fulfilling his legacy. Initially there are two driving forces: Pernell is on trial for murder, and Crystal is trying to find out what happened to PJ’s software. And then, of course, they are always going to be surrounded by these amazing characters who are dealing with the same things that we deal with through the contradictions of human nature. What makes us tick? What do we really believe in? If we really do believe in something, or really want something, how do we change our lives to make that happen?